These easy peanut butter cookies are made for people who love peanut butter cookies that are big on peanut flavor. 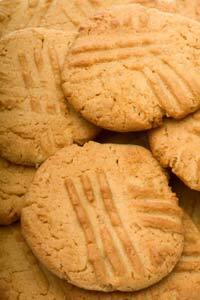 Classic peanut butter cookies can be dry, crumbly, and lacking in peanut flavor. No one will ever accuse this peanut butter cookie recipe of those shortcomings! 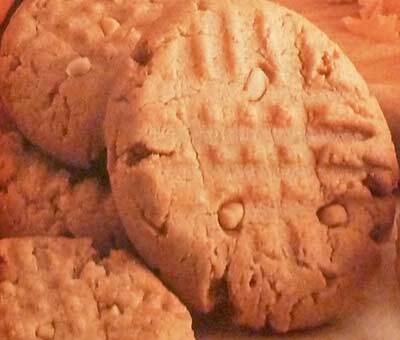 Since peanut butter is the only fat in this easy peanut butter cookie recipe, its flavor really shines through. And there is very little flour so the cookies are moist and creamy, not dry and crumbly. With a total of only six ingredients the cookie dough comes together in a matter of minutes. If you have an egg in the refrigerator, chances are you have everything else you need waiting in your pantry to bake up a batch of these sensational cookies. I bet you'll be ready to bake your easy peanut butter cookies by the time your oven is preheated! You'll want to use commercial peanut butter, like Skippy or Jif for these peanut butter cookies, not the natural kind. If you want a little crunch in your cookies, choose chunky style peanut butter. You are instructed to drop the easy peanut butter cookies dough by rounded tablespoons onto your cookie sheets. This is much quicker and easier with a Cookie Scoop . Position an oven rack in the center of your oven. Preheat the oven to 350F degrees. Line 2 cookie sheets with parchment paper or silicone liners. In a large bowl with an electric mixer on medium-high speed, beat the peanut butter and brown sugar until well blended. Add the egg and vanilla and beat just until blended. Scrape down the sides of the bowl with a rubber spatula if necessary to make sure everything is well combined. Stir in the flour, beating on low speed just until incorporated. Stir in the chocolate candies, if using, with a wooden spoon. Scoop up tablespoons or cookie scoops of dough and shape into 1 1/2-inch balls with your hands. Place balls of cookie dough onto your lined cookie sheets, leaving at least 2 inches between the cookies. Bake, one cookie sheet at a time, until the tops of the cookies look dry, about 12 minutes. 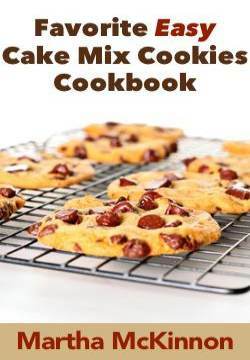 Remove from the oven and place the cookie sheet on wire rack to cool for about 10 minutes, and then transfer cookies from the cookie sheet to a wire rack to cool completely. Store the cookies in an airtight container, separating layers with wax or parchment paper, at room temperature for up to one week. This recipe makes about 1 1/2 dozen Easy Peanut Butter Cookies. Substitute mini chocolate chips for candy-coated chocolates. 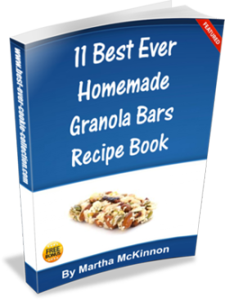 Use crunchy peanut butter and substitute 1 cup chopped peanuts for the candy-coated chocolates. Recipe Source: This easy peanut butter cookie recipe is adapted from The Weekend Baker by Abigail Johnson Dodge. This cookie recipe will appeal to those who love both creamy and crunchy peanut butter because the cookies will have a soft and chewy inside while the outsides are topped with crisp roasted nuts. Position an oven rack in the center of your oven and preheat the oven to 350F degrees. Line 2 cookie sheets with parchment paper or silicone liners. In a medium bowl, soft together the flour, baking soda and salt and set aside. In a large bowl, combine the butter, peanut butter, brown sugar and granulated sugar and mix with electric mixer on medium speed until well blended. Add the eggs and vanilla and beat on low speed, scraping down the sides of the bowl as needed, until the eggs are completely incorporated. Place heaping tablespoonfuls of the cookie dough about 3 inches apart onto the prepared cookie sheets. Sprinkle about 1/2 teaspoon of the chopped peanuts over each cookie, pressing lightly with your fingertips to help them stay in place. Bake one cookie sheet at a time, about 10 to 12 minutes, until the tops of the cookies are golden. Remove from the oven and allow cookies to cool on sheets for 5 minutes, then place the cookies on wire rack to cool completely. Store the cookies in an airtight container, separating layers with wax or parchment paper, at room temperature for up to 3 days. This recipe makes about 26 Classic Peanut Butter Cookies. Here's a nutritious variation on an extra special favorite cookie classic. Preheat oven to 350F degrees. Line 2 cookie sheets with parchment paper or silicone liners. In a large bowl, combine the peanut butter, honey, butter and vanilla and beat well. 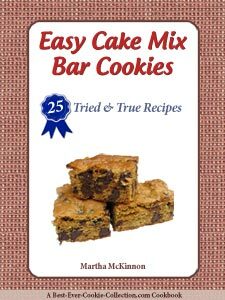 Slowly stir in flour, nonfat dry milk, baking powder, baking soda and salt and mix well. Shape into 1 1/2-inch balls and place 2 inches apart on prepared cookie sheets. Flatten in crisscross pattern with fork. Bake for 9 to 12 minutes, or until set and edges are light golden brown. Remove from oven and transfer cookies to wire rack and cool completely. This recipe makes about 4 dozen Honey Wheat Peanut Butter Cookies. In a large mixing bowl, beat the butter, peanut butter, granulated sugar and light brown sugar until creamy. Slowly stir dry mixture into creamed mixture until blended. Roll into 1-inch balls and place about 2 inches apart on prepared sheets. Flatten each ball with a fork, making crisscross patterns. Bake for 10 minutes, or until edges begin to brown. Be careful not too overbake. Remove cookies from oven and transfer to wire rack and cool completely. This recipe makes about 4 dozen Old-Fashioned Peanut Butter Cookies.